Single-instance software transcoding engine license. Multiple Transcode Engines are used in conjunction with Transcode Manager to create transcoding “farms” scaling from small to enterprise operations. Maximum configuration is 1 instance per CPU core. 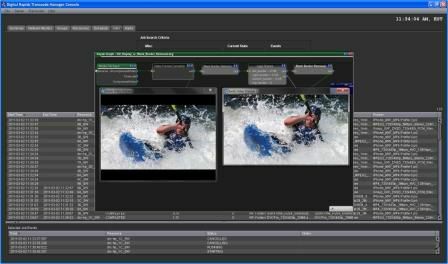 Format support included with Transcode Engine Core configuration includes VC-1 (Windows Media, Silverlight), MPEG-1, MPEG-2, QuickTime (including MPEG-4 and H.264), AVI, RealVideo, MP3, WAV and image sequences. Additional formats optional (sold separately).